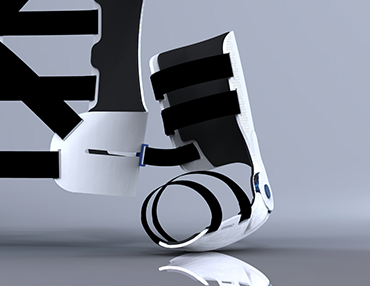 AcoSystem is an upper extremity orthotics with antispastic system and control mechanism of joint mobility, designed so that it can be used both by people who suffer from brain damage as well as other disabilities. Cerebral palsy (CP) is a group of permanent movement problems that do not get worse over time and it is caused is caused by damage to the motor control centers of the developing brain. It is characterized by abnormal muscle tone, reflexes, or motor development and coordination. There is no treatment to cure the PC because brain damage can not be corrected, but if it helps people to keep track of all their movements, they may be able to work and live independently. 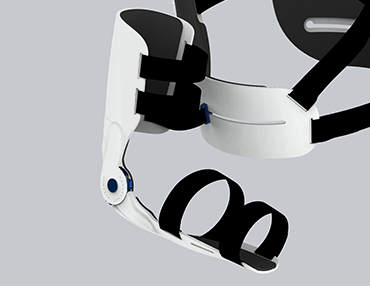 The most important problem to solve with this project is mainly the uncontrolled movements of the upper limbs that can be produced by people with a brain injury. Focus on the human values: Empathy for the people I was designing for and feedback from these users was important to generate good ideas. I visited Guttmann Institute, a leading hospital in the medical treatment, surgery and full rehabilitation of patients with spinal cord injury, acquired brain damage or any other serious neurological disability, as well as another organization within the same fi eld called Aspace, being able to construct a holistic understanding of that complex problem. My study was centered on people who have problems to control their arms in order to ease assist movement. Research - I observed a common problem within people with a certain pattern called ‘spastic and ataxic’, where users have uncontrolled movements of the upper extremities. This could make life very difficult for the people with this particular issue, causing them to be stuck in uncomfortable and even dangerous situations. I decided to focus my solution on people with this particular issue. 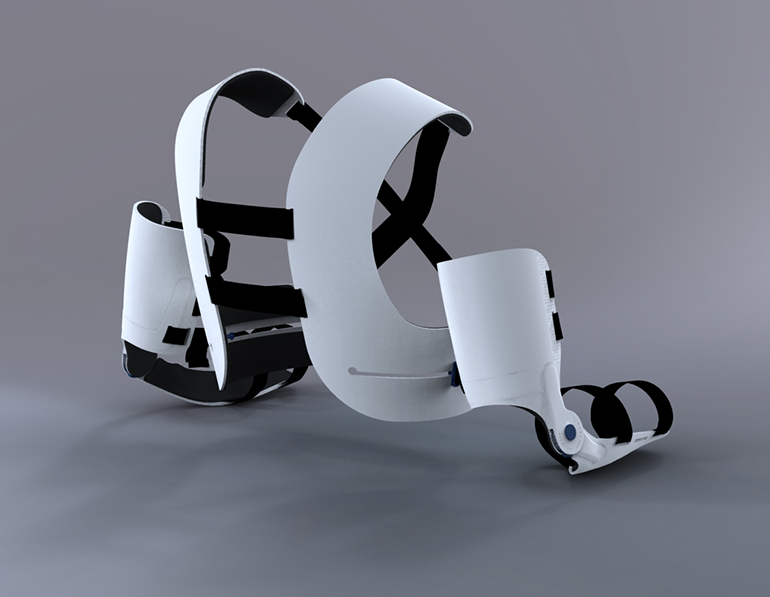 Vision - Develop a new application in the orthoses field for patients with spasticity and problems related to improving the quality of life and autonomy. Product Requirements - Comfortable and easy to use, Secure, Versatile, Support sudden movements of the upper extremities, Correct body and upper extremities position, Useful for different people, Better aesthetics, Light, Satisfying experience. 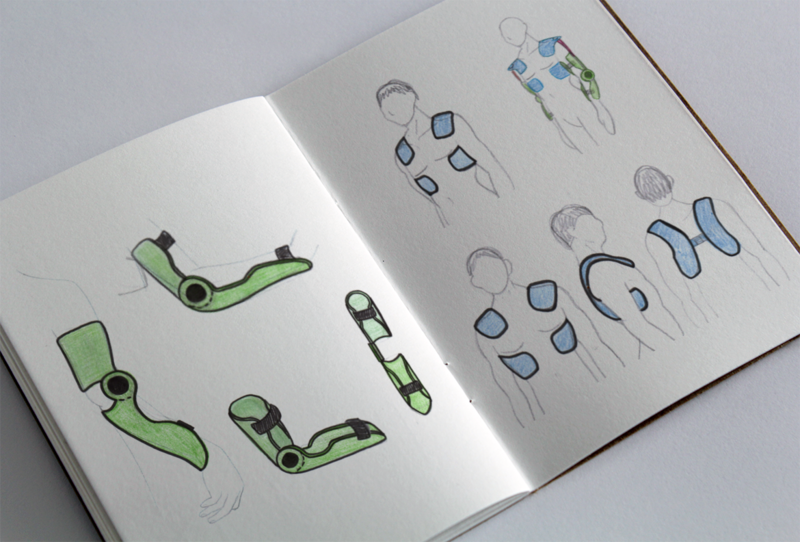 I conducted a CAE Analysis to test the materials that were defined for the product to see how they would react when the user would have abnormal movement in their arms. 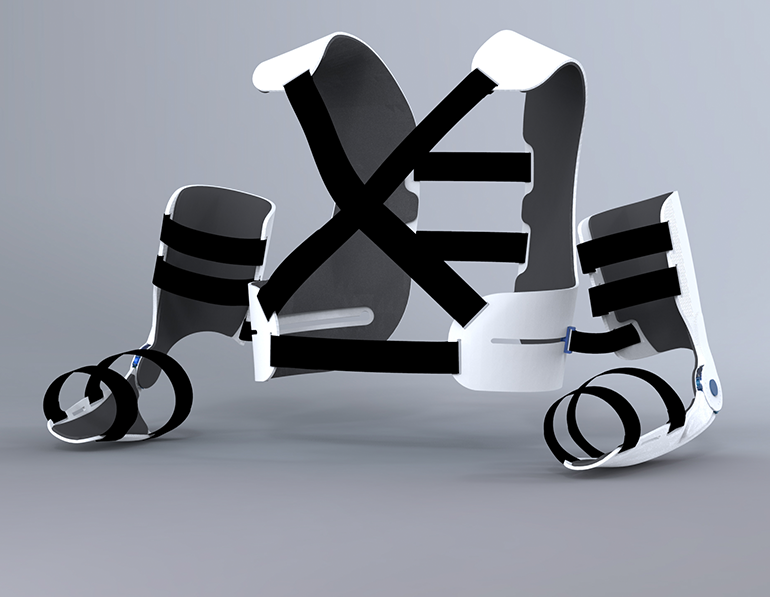 I wanted to see if the product would properly resist the impact of the movement and prevent damage to the user’s body. The product has different measures available in order to be adapted to different ages and pathologies. Catia V5 and AutoCAD was used to create and define the product using a 3D model. HyperShot was used to create the final renderings. I gained a lot of awareness around Cerebral Palsy and the how it affects those who live it. I learned how important it is to always design with the user’s real needs and perspective in mind, to make a product that would hopefully make their life easier.